The Makita 5704RK 7" (190mm), 110 volt, Circular Saw is a versatile saw, ideal for shopfitting, construction work, carpentry and joinery. • Robust all metal blade guard. • Double insulated: protects both tool & user from surges. • Simple lever adjustable setting of the cutting depth. • Safety lock off button for reduced risk of accidental starting. • Supplied with a rip fence for exactly parallel cutting along straight pieces of timber. 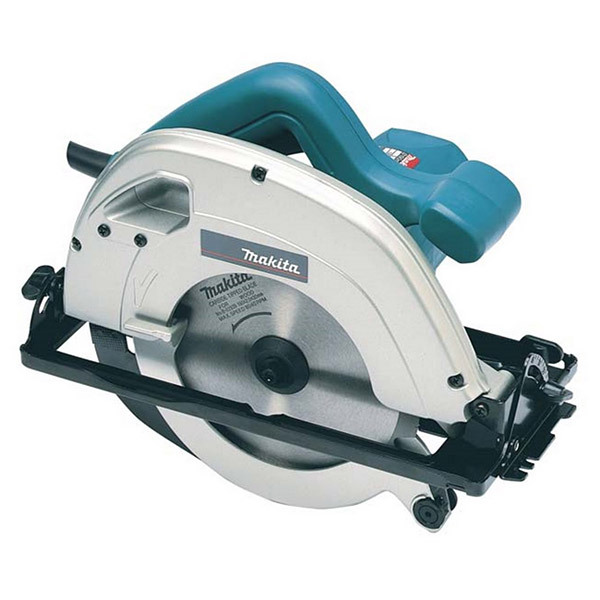 • At only 4.9kg, lightweight for a professional standard circular saw.